The DeltaCab Micro Data Centre makes it easy and cost-effective to add data centre capacity anywhere. Compact and self-reliant, it provides localised computing resources. 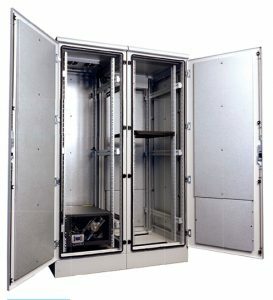 The customisable unit includes a secure physical enclosure, UPS, PDU, cooling and environmental monitoring in tested, pre-assembled form for immediate deployment. The component options of the DeltaCab Micro Data Centre ensures that it offers a complete solution. Control & monitor – DCIM enabled for control and monitoring. The Static Transfer Switch (STS) safeguards the uninterrupted operation of mission critical IT equipment. Powered by two independent power sources, the STS rapidly switches from one source to the other automatically when the power supply used to power its connected load fails. 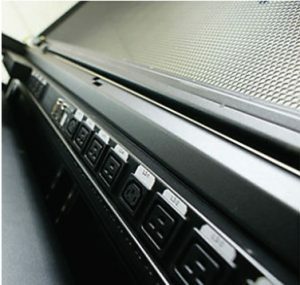 For data centre applications, the STS allows power drop risk to be shared or distributed to each rack to prevent power loss for the whole system. The STS offers an efficient and reliable switch that supports the high redundancy requirements of mission critical power systems. EnviroProbe monitors temperature, humidity in a single cabinet or area and transmits signals from environment sensor devices in the data center (e.g. : door sensors, smoke detectors, fire detectors, water-leakage detectors etc.) to management via network. EnviroProbe also controls its connected devices when equipped with digital and analog outputs, keeping the IT manager promptly informed of all environmental changes by giving alarms, controlling the activation and deactivation of an external device (e.g. a magnetic lock), or by giving a sound alert using its own built-in buzzer upon detection of water leakage. PyroRack is a self-contained automatic fire extinguishing system, which can be used in many industry sectors. Designed to be housed in racking systems for the protection of delicate electronic equipment, the PyroRack is fully capable of detecting a fire using single or coincidence detection and responding by extinguishing the fire in less than 10 seconds of detection. Signals can also be sent to other equipment via VFCC or RS232 to inform of the units status and to key personnel for immediate investigation. 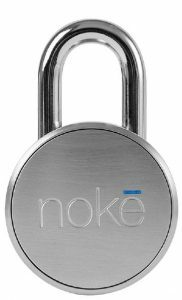 This keyless, smartlock works remotely via a mobile app giving you control over by who, when and where your cabinets are accessed. 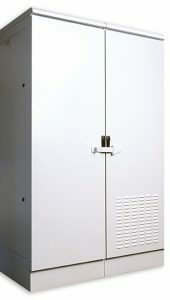 The 8 mm boron-hardened shackle toughened lock is used for applications such as data cabinets, gates, lockers, storage, cash boxes and beyond.